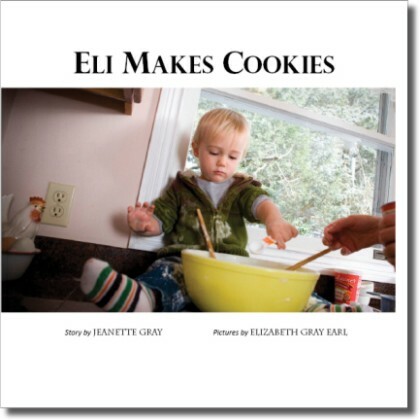 Eli Makes Cookies portrays a grandmother lovingly introducing her very young grandson to the art of baking, encouraging him to explore ingredients while showing him how to use kitchen tools appropriately. This book models kindness. Softcover, 8.5″ x 8.5″. 26 pages. ISBN: 978-0-9844972-4-9.